Montaillou is a small village and commune in the eastern half of the Pyrenees, then in the independent County of Foix, now in the Ariège département of southern France. 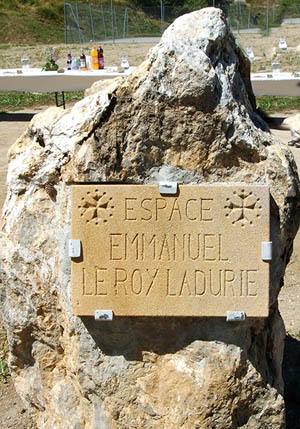 The town is best known for being the subject of Emmanuel Le Roy Ladurie's pioneering work of microhistory, Montaillou, village occitan. It analyzes the town in detail from 1294 to 1324. Then a village of some 250 people, the daily routines of the people are in the records of Jacques Fournier. 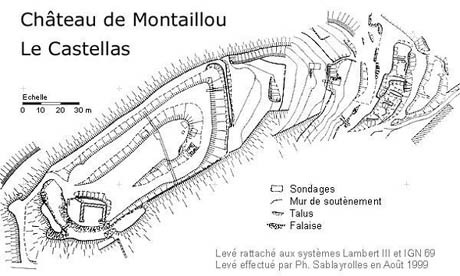 Montaillou was one of the last bastions of the Cathar religion (or "Albigensian heresy"). 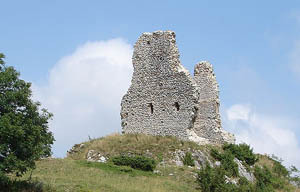 The castle is in a poor state, but at least it is a real "Cathar Castle" rather than a French one. It even has the Count of Toulouse's flag flying over it usually nowadays (though it actually belonged to the Count of Foix). In the thirteenth and fouteenth centuries it must have looked much like the one at Pieusse. Jacques Fournier undertook a rigorous hunt for Cathar believers, which won him praise from Catholic authorities, but alienated local people. He was an exceptional Inquisitor. Uniquely "Monsignor Jacques" was interested in what had really happened, kept records of his interrogations and managed to have them preserved to provide a treasure trove for historians. He made a name for himself by his skill as an inquisitor during the period 1318-1325. 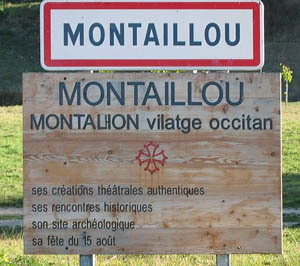 He conducted a campaign against the last remaining Cathar believers in the village of Montaillou, as well as others who questioned the Catholic faith. Click here for more on Jacques Fournier and the fornier Register. Béatrice de Planissolles was a minor noble in the Comté de Foix in the late thirteenth and early fourteenth century. She was born around 1274, probably in the mountain village of Caussou. Béatrice was the daughter of Philippe de Planissolles a nobleman later convicted of supporting the Cathar religion. At around the age of twenty Béatrice was married to Bérenger de Roquefort who was the châtelain of the small, and largely Cathar, community of Aillou or Montaillou. Béatrice did not care greatly for her husband and soon began a courtship with Raymond Roussel, steward of the châtelain's estate. She was raped bya man called Pathau Clergue. 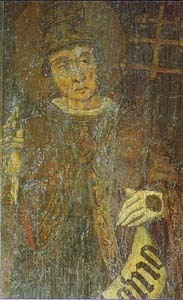 In 1302 Bérenger de Roquefort died leaving Béatrice a widow. At this point she became the consort of Pathau Clergue, the man who had raped her. Soon she began a relationship with Pathau's cousin Pierre Clergue, a priest and the most powerful man in the village. This relationship lasted two years before Béatrice decided to leave the village and remarry, wedding Otho de Lagleize, another minor noble. He too died after only a few years of marriage. 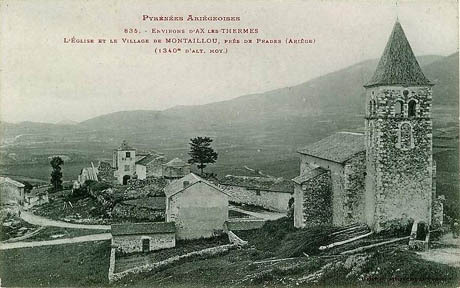 In her older years Béatrice took up with a young vicar Barthélemy Arilhac. After a number of years this relationship ended as Barthélemy worried he would be placed in danger by Béatrice's Cathar past. His concerns were justified. They were both arrested by the inquisition and held for a year. Béatrice first appeared before the Inquisition on Saturday 26 July 1320 at the Episcopal Palace in Pamiers. She had been summoned by Jacques Fournier, the Bishop of Pamiers, to answer charges of blasphemy, witchcraft, and heresy. The charge of witchcraft was supported by the contents of her purse, which included a variety of "objects, strongly suggestive of having been used by her to cast evil spells": two umbilical cords of infants; linens soaked with blood, which was suspected of being menstrual, in a sack of leather, with a seed of cole-wort; and seeds of incense slightly burned; a mirror and a small knife wrapped in a piece of linen; the seed of a certain plant, wrapped in muslin (which she testified had been given to her by a pilgrim as a remedy for epilepsy); a dry piece of bread; written formulae; and numerous morsels of linen. Barthélemy Arilhac was not punished, but Béatrice was. With her husbands Béatrice is known to have had four daughters: Condors, Esclaramonde, Philippa, and Ava. Montaillou, abridged English version, Penguin (London, 1978), Book by Emmanuel Le Roy Ladurie.